Every sports team has a playbook. It shows the team how to make the plays that lead to a win. The best way to sell more is give your sales channels and sales team a playbook. 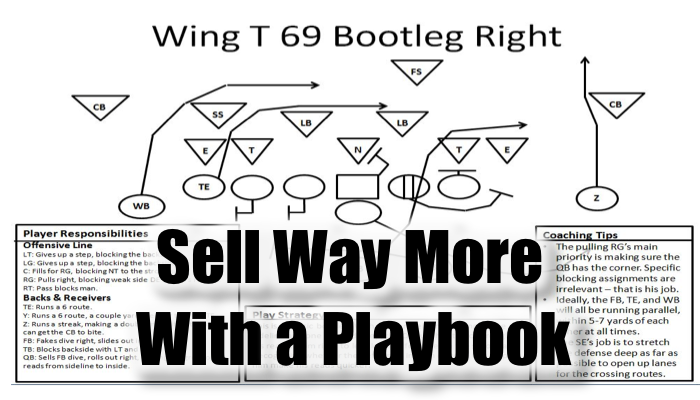 Do you have a playbook for your sales team? Do you think they can figure it out on their own? That’s going to cost you and leave a mark. If you can’t do this or don’t have time, let’s have a conversation. I’ve built more than 100 playbooks and can point you to at least one publicly available example. I can probably build one for you for less than the price of a single deal, and if I can’t, you’ll learn something from my sales process.